Tightly focused laser beams can act as optical "tweezers" to trap and manipulate tiny objects, from glass particles to living cells. The development of this method has earned Arthur Ashkin the last year's Nobel prize in physics. 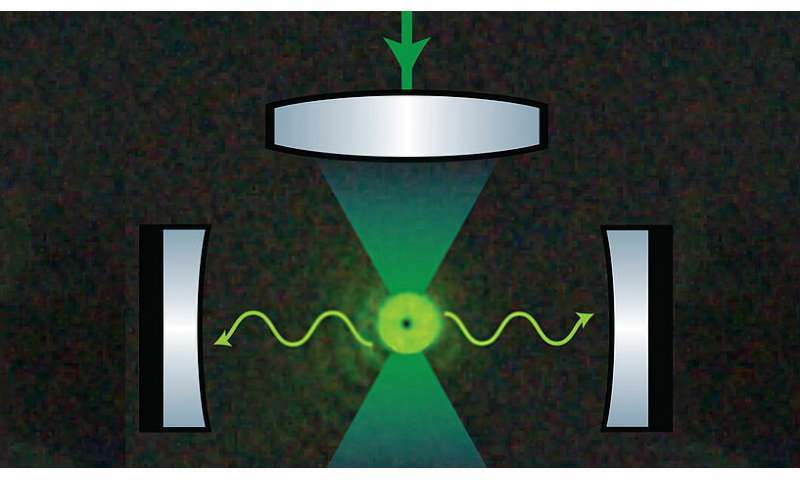 While most experiments thus far have been carried out in air or liquid, there is an increasing interest for using optical tweezers to trap objects in ultra-high vacuum: such isolated particles not only exhibit unprecedented sensing performance, but can also be used to study fundamental processes of nanoscopic heat engines, or quantum phenomena involving large masses. A key element in these research efforts is to obtain full control over the particle motion, ideally in a regime where the laws of quantum physics dominate its behavior. Previous attempts to achieve this, have either modulated the optical tweezer itself, or immersed the particle into additional light fields between highly reflecting mirror configurations, i.e. optical cavities.